Canada's ambassador to the United States says predictions that NAFTA talks can be settled by the end of month are "aspirational" — even if American and Mexican officials are close to resolving their differences on complex auto sector issues. But David MacNaughton supports the push toward the ambitious goal and says Canadian negotiators are prepared to put in the long hours to help make it happen before the end of August. MacNaughton was closely following NAFTA talks in Washington on Friday between U.S. Trade Representative Robert Lighthizer and Mexican Economy Minister Ildefonso Guajardo, whose governments have both expressed optimism a deal could be hammered out this month. "I would describe it as aspirational and I think there's nothing wrong with aspiring to get everything done by the end of August and certainly we're going to be available 24/7," MacNaughton said in an interview when asked whether he thought it would be possible to get the deal done within that timeline. "I've given up predicting. All I can tell you is we will do everything we can to put all of the resources we have to get a fair and reasonable deal as quickly as we can ... We've had a lot of dates over the past 18 months and we haven't met any of them yet." Media outlets reported Friday that Guajardo predicted there was a very good chance the U.S. and Mexico could sort out their bilateral NAFTA differences next week. In his interview earlier in the day, MacNaughton said next Canadian negotiators could be back at the table as early as next week for three-way talks. The NAFTA file is picking up again after taking a pause in late May ahead of Mexico's July presidential election. Since that break, the already shaky Canada-U.S. relationship has sunk to an even lower level. 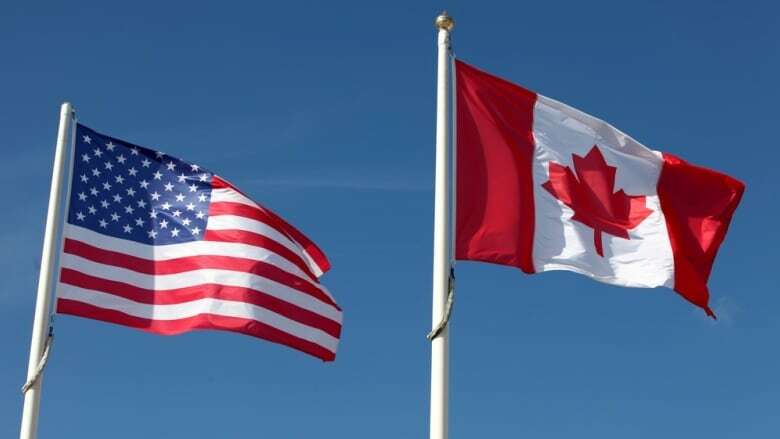 U.S. President Donald Trump slapped Canada and other allies with duties on steel and aluminum imports, which led to retaliatory levies from Ottawa. Trump has also threatened to impose far more damaging tariffs on the auto sector and, as he left the June G7 meeting in Quebec, he called Prime Minister Justin Trudeau "very dishonest and weak." Following these very public, unprecedented disputes, there have been concerns raised about Canada's absence from high-level talks this week and last week on the three-country trade deal. Some observers have warned that Canada was sidelined from the negotiations and could be put in a position where it might have to accept a deal reached between the U.S. and Mexico. But Canadian officials, including MacNaughton, have maintained they're unfazed by being left out of the bilateral discussions, stressing there have been a lot of one-on-one talks during the year-long NAFTA renegotiation process. The Trudeau government, premiers, cabinet ministers and the business community have mounted a lobbying campaign south of the border to sell U.S. lawmakers in Congress, state governors, local officials and business leaders on the economic merits of NAFTA. But the rocky relationship has some questioning the effectiveness of Canada's so-called charm offensive. Asked whether Canada had a Plan B, MacNaughton said there isn't one. The strategy, he said, will continue to be telling Americans how critical trade with Canada is for their economy. He argued the effort has succeeded in raising awareness at all levels of U.S. governments, within the business community and even the White House. "Even if we have a renegotiated NAFTA, a modernized NAFTA, we will continue to need to have Americans who realize how important Canada is to American jobs," he said. "Frankly, I think we took it for granted and you can't." Veteran trade strategist Peter Clark said Friday that those who think NAFTA can be concluded by the end of the month are "dreaming." "If the United States wants to get it finished by the end of August, they're going to have to put a lot of water in their wine," said Clark, who called the U.S. decision to leave Canada out of the recent talks a tactical move. After missing this week's discussions, Clark added there's a risk Canada could find itself being forced into a take-it-or-leave-it situation on provisions agreed upon by the U.S. and Mexico. the proposed inclusion of a five-year sunset clause, which has been flatly rejected by the Trudeau Liberals. the de minimis threshold, which is the maximum value of an item that Canadians can order from a foreign country without paying duties or taxes.